I don't know about other mums, but I find that my two children work so much better when I give them pages that look more appealing to write on. For those that would like these pages they are now stored over at hslaunch - the link can be found on our free pages tab. For locals The Bats' Nest by Anne de Roo is available at our IRL library though, in their stack room, and also through library inter-loan. 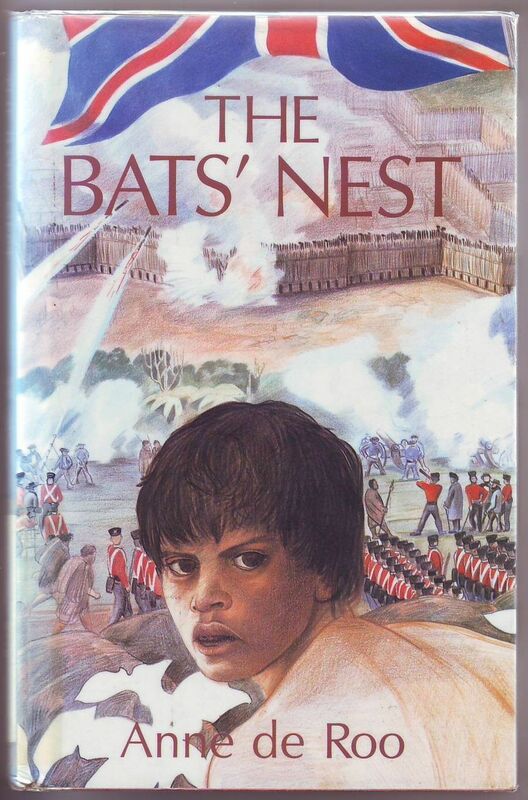 Bobs and I will be reading aloud The Bats' Nest as the story line does have some more mature tones to it that I'd like us to discuss: one of the central characters is a maori wife that had previously been mistreated by her british common-law husband (who disappeared before this story commences). Their son, Jacky, struggles to find his way as a pakeha/maori in a developing country which is at war. Chelle are these pages similar to the broken blade ones?